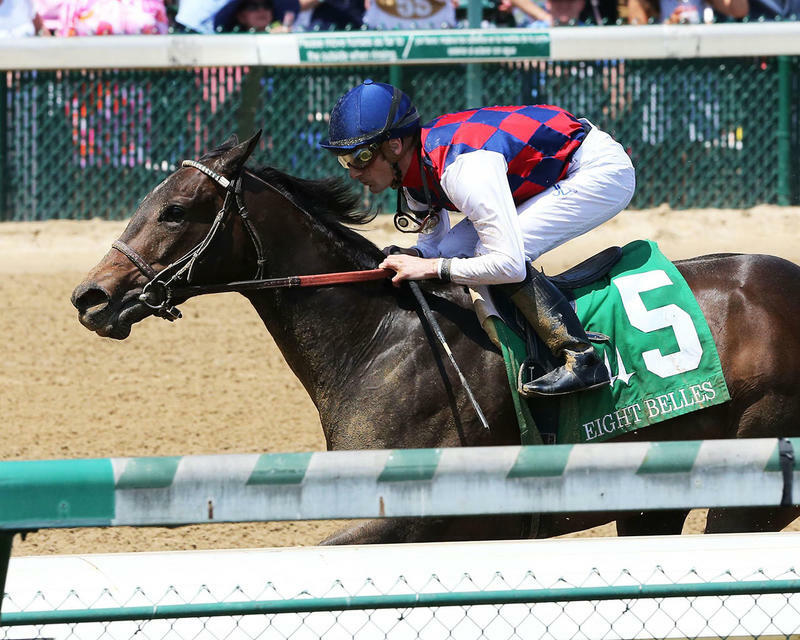 LOUISVILLE, Ky. (Friday, May 6, 2016) – Three Chimneys Farm’s Carina Mia surged to the front at the eighth pole and drew off to win the 61st running of the $200,000 Eight Belles Presented by Big Fish Games (GII) for 3-year-old fillies by six lengths over Blip n’ Th Bye. Trained by Bill Mott and ridden by Julien Leparoux, Carina Mia covered the seven furlongs on a fast track in 1:21.74. It was the second victory in the race for Mott and Leparoux. Mott won in 1993 with Traverse City and Leparoux was victorious in 2010 on Buckleupbuttercup. 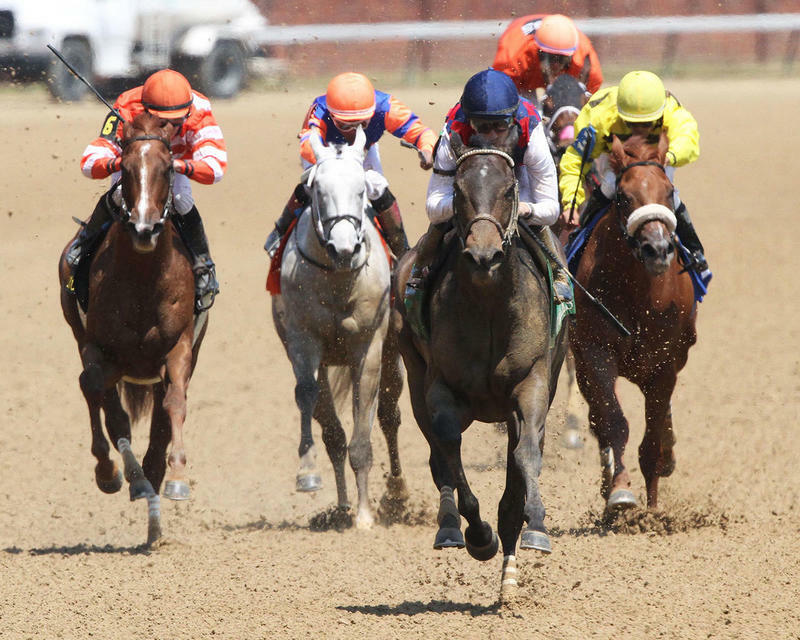 The victory was worth $120,280 and increased Carina Mia’s bankroll to $309,760 with a record of 5-3-1-0. 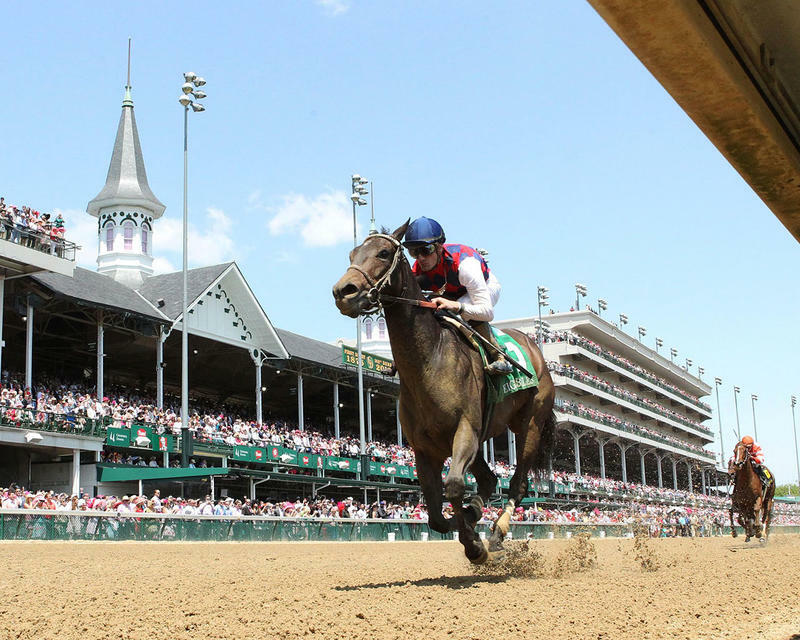 Carina Mia is two-for-two at Churchill Downs having also taken the Golden Rod (GII) last fall. Carina Mia is a Kentucky-bred daughter of Malibu Moon out of the Southern Halo mare Miss Simpatia (ARG). Carina Mia returned $3.20, $2.60 and $2.10. Blip n’ Th Bye, ridden by Florent Geroux, returned $10.40 and $5.20 with Nickname finishing third 1 ¾ lengths back under Javier Castellano and returning $2.60 to show. Put Da Blame on Me finished another length back in fourth and was followed in order by Summer Reading, Jade Princess, Stageplay and Marquee Miss. 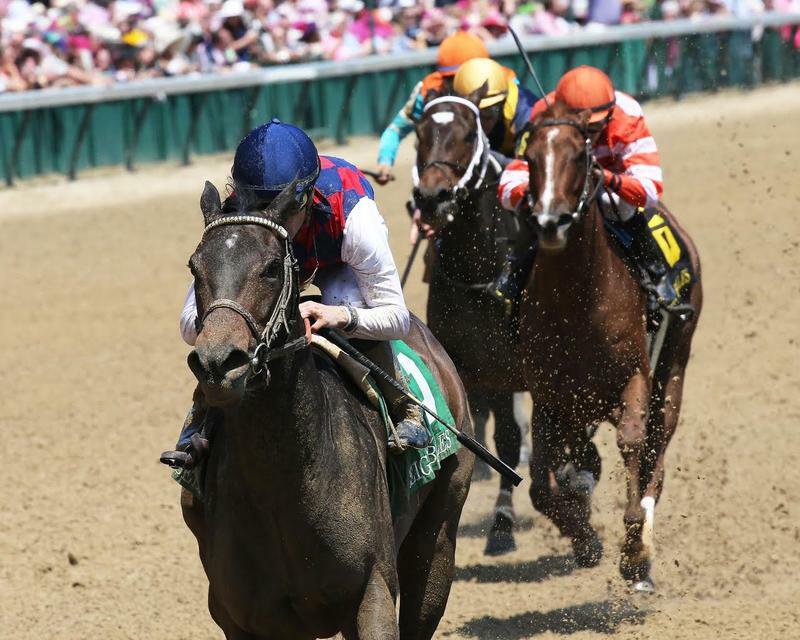 Julien Leparoux (rider of Carina Mia, winner) – “She broke slowly, actually. First time that happened. She was relaxed and came running at the end. She showed a new style, but it worked out good. She was very comfortable and relaxed. The four (Put Da Blame on Me) came out a little bit (at the start), but not enough to bother me too much. She just really didn't break that fast today." Bill Mott (trainer of Carina Mia, winner) – "This wasn’t the original plan, but it certainly was our backup. 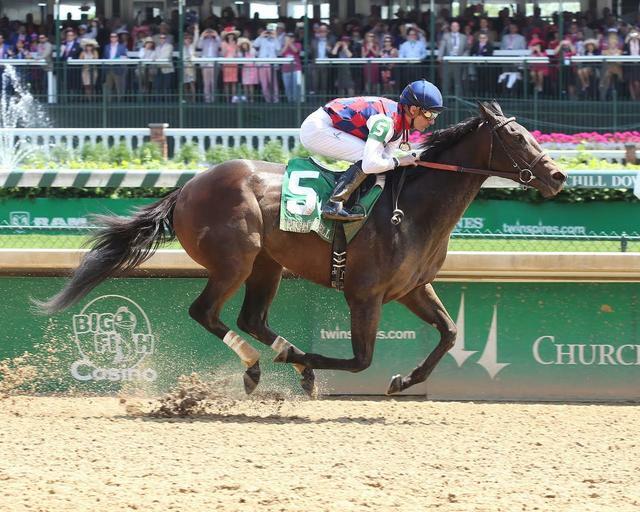 But we felt it was a race would nominate for; she was already nominated to the Kentucky Oaks. (Finishing) fourth over in the Ashland we fell one placing short of having enough points to get into the Oaks, but it wasn't our plan to go directly to the Ashland, either. Actually, we were going to have a prep race before that, and it just didn't work out because of the quarantine (at Payson Park). 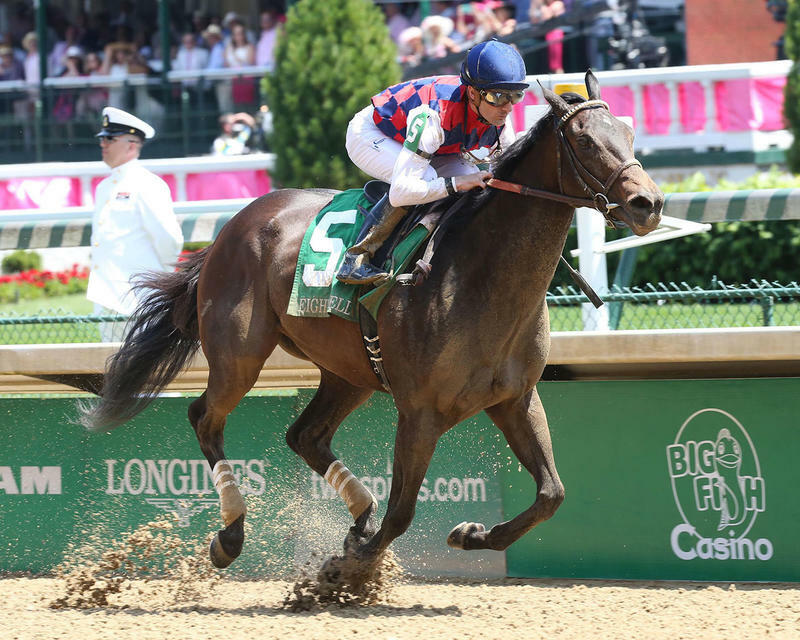 "Initially, she was going to run in the Davona Dale at Gulfstream and she had a little bit of a snotty nose, and we had to wait a couple of weeks to get that cleared up and our next option was to go to Oaklawn to run in the Honeybee and that is when the quarantine set in. So, we had a couple of little things that got into our way, but I think everybody is pleased and she had a good race today and hopefully there is more to come." "Our conversation in the paddock was that it looks like several of them in here have same amount of speed. It looked like if we had a clean break we had as much speed as anybody. Then she just maybe hesitated. You can't hesitate very long and you get four or five outbreaking you. She got a good education out of it today. She was in between and behind and (Julien Leparoux) actually had to steady a little bit heading into the turn. When he tipped her out, she has a gear now." "I guess the Acorn would be the next thing on the docket for her. Who knows, maybe will run into Songbird in the Acorn."